Uppaal Stratego is a novel tool which facilitates generation, optimization, comparison as well as consequence and performance exploration of strategies for stochastic priced timed games in a user-friendly manner. The tool allows for efficient and flexible “strategy-space” exploration before adaptation in a final implementation by maintaining strategies as first class objects in the model-checking query language. 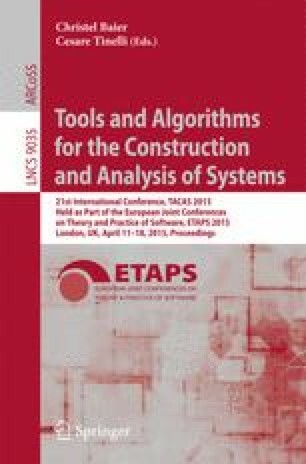 The paper describes the strategies and their properties, construction and transformation algorithms and a typical tool usage scenario. The research has received funding from the European FET projects SENSATION and CASSTING, the ARTEMIS project MBAT as well as the Sino-Danish Basic Research Center IDEA4CPS.